One of the reasons why America is a legendary place for music lovers everywhere, are Bob Dylan's songs – songs filled with references to places, people and situations from its immense inland. Today, awaiting Dylan's performance in our country, we look back to some of his songs that bring us a scent from his homeland. A song about the famous highway connecting Duluth, Minessota, Dylan's hometown, to New Orleans, Louisiana. It is comprised of five parts, five stories related to this highway which contain clear political extensions. From the homonym album of 1965. The first phrase of this song derives from the traditional Midnight Special, which mainly became widely known due to the blues player Lead Belly. Dylan had participated in its recording from Harry Belafonte in 1962 and here he builds his own song about the roads and people of Houston as well as Dallas, Austin, Forh Worth and San Antonio, large cities that belong to the state of Texas. From Together Through Life (2009). Here we have one of the unreleased songs by Dylan included in the compilation Biograph in 1985. The lyrics mention Atlantic City, Nassau Mexico. Dylan tried to record this song for the album Time Out Of Mind (1997) but not having been satisfied by the results, he gave it to Sheryl Crow, by whom we first heard it in the album The Globe Sessions (1998). 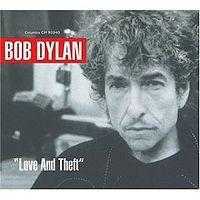 Dylan's official version is included in Love And Theft (2001) while his first effort can be found in The Bootleg Series Vol. 8 - Tell Tale Signs: Rare And Unreleased 1989-2006 (2008). James Meredith was the first Afro American student in the University Of Mississippi, in Oxford city. Meredith had to carry out many legal fights to finally manage to 'break' the tradition against people of his race but, even then, the reactions by established status have been violent. 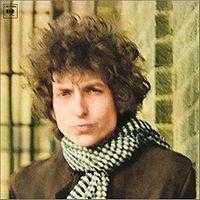 Dylan refers to this story in this song from The Freewheelin’ Bob Dylan (1962). The young Robert Allen Zimmerman came to New York in January 1961, in search of a better fate in the cafes and clubs of Greenwich Village. This song, written that same November, narrates the difficulties he came across that first period. From The Bootleg Series Volumes 1-3 (Rare And Unreleased) 1961-1991. 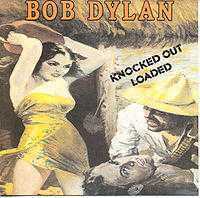 The album Knocked Out Loaded (1986) is definitely one of the weakest recording efforts by the great songwriter, but Brownsville Girl is an exception, as it is clearly one of his good songs. It refers to Brownsville, Texas, an area with many illegal traffic to and from Mexico, as well as San Antonio, Alamo and Amarillo. It also refers to a film starring Gregory Peck. Reaching New York in the beginning of the 60s, Dylan had already prepared his personal mythology: a series of totally fake stories about the life he had lived until then. It this unreleased song, he narrates his 'adventures' as member of a stray troupe, mentioning areas like Florida, Michigan, Wisconsin, Minnesota and Aberdeen. This song, meant to be included in his debut but ending up to The Bootleg Series Volumes 1-3 (Rare And Unreleased) 1961-1991, is inspired by a newspaper article about the ship Hudson Belle and one of its trips - that finally never took place - toward Bear Mountain, at the north of New York. 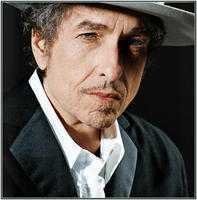 * Photos from http://micah.sparacio.org/wp-content/uploads/2009/12/bob-dylan-cowboy.jpg and www.wikipedia.org.